Simply put, Hosted VoIP is the most flexible of phone system and service options businesses have today. Businesses can literally never worry about their phone system constraints again. Consider business applications or purchases that can be deployed for companies at the Entrepreneurial stage through the established Enterprise stage. The list is few. How is it possible that a phone system can work for a small entrepreneur and take that same entrepreneur's business throughout its life cycle? First, the very nature of a hosted phone system is that it provides the infrastructure to the business over the internet. The only equipment deployed by the business are the phones themselves. Therefore, the business never needs to worry about "sizing" the system to meet current and future demands. Second, because the features of the hosted phone service are vast enough to meet enterprise level requirements, the entrepreneur and small business gets to take advantage of these higher level features throughout their business life cycle. They do not need to scrimp on system requirements or overbuild for their level of needs. Low Capital Outlay - Because you do not need to purchase a phone system or switch, the only capital outlay for a hosted phone service is the exact number of IP phones you need today. Keep in mind that whether you have just a single phone or a handful to start, you still have the full feature set of a robust, enterprise-level phone system. Grow as You Grow - As the business grows, you only need to add phones/users as you have the employees on board. Again, the system will expand as large as you need it to be. Hosted providers typically charge for the monthly phone service by phone or user, so your monthly costs will only increase as your business increases. Many providers offer a declining rate per user depending upon how many phones are deployed. Thus, your phone system and service always is in an exact match to your company's size. Freedom of Location - As businesses grow, they find themselves moving to larger locations or adding additional locations. All businesses need to have in place is a high speed internet connection, and the phones can move from one location to another. You don't have to be concerned with moving a switch or even buying a new system. Nor is downtime a concern. All of this can be well coordinated with your hosted provider. Adding locations, whether in the same city or outside of the area, is not an issue at all with Hosted VoIP service. All phones have direct dial numbers consistent with their location and you can extension dial between phones. Phones in all locations can be tied into call flows or ring groups from a primary main line for the business. There's simply a tremendous amount of flexibility Hosted VoIP provides a growing business. No Obsolescence - Business do not need to worry about their phone switch becoming obsolete. It is incumbent upon the provider to maintain the system with a progressing set of features to meet future requirements and capabilities. The phones themselves can be upgraded down the road, but the original models can still be in service for as long as they operate or remain compliant with the host system. Thus, telecom obsolescence is off the table from an entrepreneur's perspective. Every entrepreneur or leader of a growing business loves flexibility, especially when it comes to infrastructure decisions. Choosing a Hosted VoIP system and service will be one decision that will provide such flexibility and deliver advantages throughout the lifecycle of the business. Many entrepreneurs are exiting their business incubators with a number of operational decisions to make for their start up organization. Selecting a Hosted VoIP system for their phone services carries a number of advantages and provides one less worry as they stand-up their company. Low Cost of Entry and Scalable – Purchasing a phone system at a business start up phase is a guessing game. Do you go big to match your five year plan or go small and risk being underserved from a feature perspective and having to replace the system as soon as it is stressed with growth? The beauty of a hosted VoIP system is that you are not buying a phone system at all! You buy the VoIP phones as you need them, and the programming of the system is completely flexible and scalable as you grow. You receive the same features as large companies enjoy but you don’t have to buy an expensive on-site platform to enjoy those benefits. No Contracts – Most hosted VoIP providers offer a no contract based service. If you are talking with one that has term contracts for “the best rate”, then keep looking. Certainly, traditional phone services and cable providers require contracts to receive their best rates. Finding a hosted VoIP provider that offers a no contract service will give you peace of mind if the business doesn’t take off as planned. Features Are a Good Fit – Some of the features inherent in a hosted VoIP platform are very applicable to organizations in their infancy. High Touch Requirements - Business owners and initial sales people need to be in high touch with the burgeoning client and prospect base. Thus, being able to forward extensions to cell phones or quickly transfer calls both internally and externally helps provide a strong feeling of reachability to your callers. Receiving voicemail to email provides you the ability to listen to callers needs, and quickly forwarding along the message or calling them back with answers. Effective Use of an Auto Attendant – Whether an auto attendant is engaged at the start of a call flow or after a series of rings, it can be an effective way to quickly route callers to their desired destination. There are several good tips for setting up an effective auto attendant, but clear options can be very beneficial to new companies. Additionally, it can disguise your size. Never set it up with “press one for Joe, press two for Jane, etc.” Always use departments, such as “Sales” or “Service” even if those calls are routed to one or the same individual! Virtual Staff – Hey, the garage businesses are real for many start-ups! Even if your business has an office presence, you don’t have to over commit on square footage at the outset. As your business grows, you can deploy staff from their homes or other environments and still have them on your phone system! The handsets connect to the hosted platform wherever they are located via a high-speed internet connection, but callers (internal or external) would never know they are not located at the office! Market Reach – Another advantage of going with a hosted VoIP provider is that you can grow into other markets and have each location on the same phone system. Most hosted providers have a national footprint, therefore they can secure local phone numbers wherever you set up shop. They can also provide local numbers in an area you are marketing to, but have the number ring back at your central location. There are a myriad of ways to effectively expand your business through the utilization of this technology. Additionally, you can recruit staff based upon affordability or ability, but have them work in a location outside of your headquarters. You can choose whether they have a direct dial number that is local to them or your headquarters, or both! 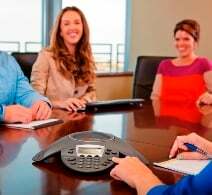 If you are starting up a new business and would like to discuss how a hosted voip option will work well for your specific need, we would be happy to consult with you. You've wrapped up your business plan and you’re now ready to make your start-up operational. One of your many decisions you’ll need to make is to establish your phone service for your business. Clearly, it is not the most important decision you’ll make, but one where many start-ups have had an expensive “education”. Caution #1 - Purchasing a phone system. Someday, making a decision on a phone system will be appropriate, but there are good alternatives available at the point of start-up. You can oversize your system and spend needless capital that can be better placed in fueling your business. You can undersize your system and create a need for a fork-lift replacement down the road, again burning capital. Caution #2 - Implementing analog lines. You are a new company, why use old technology? Using a provider of digital solutions will bring to you a number of great features and unify your communications over a single connection. If you’re not buying a phone system and simply bringing in analog lines, you could oversize or undersize the number of lines you need to handle your call volume. Both are expensive. If you need voice mail, that’s an add-on! Caution #3 - Signing a term contract. There’s nothing like being dissatisfied with service or if you need to adjust your number of lines down just to find that you’re tied to the provider and the volume of business for 9 more months! There are providers out there willing to earn your business every day and not require contracts. Caution #4 - Adapting your business to the phone system. Wouldn’t it be great if your phone solution actually was customized to how you do business? How wonderful would it be if your phone system actually improved your accessibility to your customers and enhanced your communications? Make sure your decision achieves those goals. Caution #5 – Going Digital, but not considering voice quality. Some VoIP providers do not provide quality of service in their technology which can impact the clarity and quality of the voice call. Make sure that your digital provider doesn’t solve this merely by over-sizing your bandwidth, as this doesn’t cover all the bases. A great alternative for start-up companies is to choose a digital phone solution. You simply need to purchase the phones required for your business at the start, and add them as you grow. There’s also typically a need for some minor network equipment, but all start-up costs are a far cry from purchasing a system. Additionally, digital solutions typically are highly customizable to how you do business, and there are a variety of features that will enhance your business. Finally, the service is very affordable. There are a number of business applications that are delivered over the web from a host site, and a hosted phone service is another great way to drive economies of scale down to the end user. I hope this information helps as you think about one of the many decisions you face as you start your business.